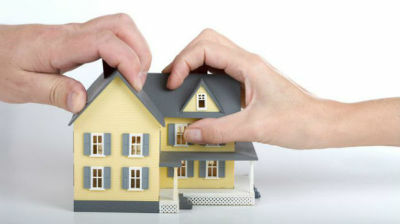 According to the family law in Australia, “capital gains tax that is usually payable on the net profit made on the sale, transfer or disposal of property to another person is usually deferred until a later sale by the person to whom the property is transferred.” Due to different income tax rules that may or may not apply to the divorce proceedings, there are exceptions to this family law rule. ig.com.au/" target="_blank">tax lawyer in Perth discusses the tax consequences of a Family law property settlement. By the law of property settlement, that family home can be retained by one spouse and often requires the other spouse to transfer their interest in the home to that spouse. In such case, there will be no tax payable on any net profit made on the sale of the home in the future. If a company or trust own the home, the home is transferred to a spouse the exemption from capital gains tax cannot be claimed for the period the company or trust owned the home. In these situations, a tax may be payable on any net profit made on the sale of the home. When it comes to the transfer of an asset from one spouse to the other, special rules apply under the Family Law Act. These special rules defer the liability to pay the capital gains tax until the asset is sold. The tax upon sale or transfer applies to real estate, shares, leases, and rights of various kinds. There are often disputes regarding the amount of tax payable on the future sale of a property. A taxation lawyer in Perth can effectively handle these disputes. Capital gains tax can also be applied to collectables such as artwork, jewellery or antiques or a wine collection if that asset was acquired for $500 or more. It can also be applied to personal-use assets that are acquired for more than $10,000. If the transfer of a spouse’s entitlement in superannuation fund to another spouse is under a court order or binding financial agreement, it can be disregarded for capital gains tax purposes. All income earned by a trust must be distributed to the beneficiaries, at the end of every year. An Unpaid Present Entitlement is an income that is owed but not paid to the spouses. Some spouses aren’t aware of this entitlement may miss out on in a property settlement. A tax litigation attorney in Perth would educate you on this and help you to get the right settlement. In case of family companies, when property owned by the company is to be transferred to a spouse, the value of the property to be received will be regarded as an unfranked dividend. It will form part of the receiving spouse’s taxable income on which they will pay income tax. The author of this article is the leading tax lawyer in Perth with over a decade of experience in practising family tax law. In this article, he discusses the tax consequences of a Family law property settlement. Visit https://www.munrodoig.com.au/ for more advice on taxation law.